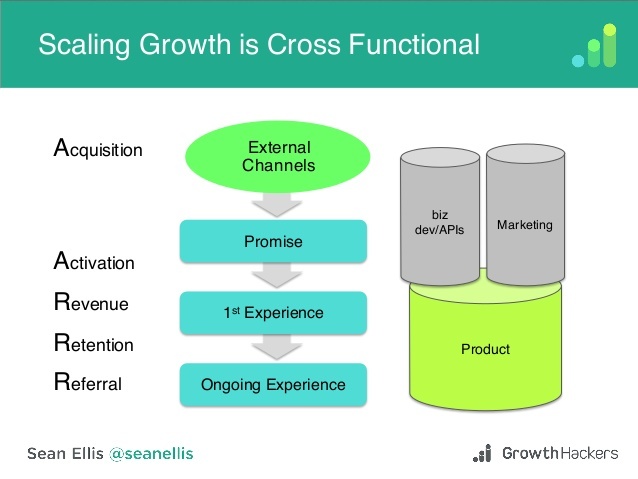 Note: Sean Ellis of GrowthHackers presented the following framework during his talk at SaaaSFest 2015. We're going to break it down further and explore how you can take your business to the next level by scaling authentic growth. A key thing we think about in SaaS businesses is growth. After looking inside hundreds of SaaS companies, we have a concrete understanding of the formula that is necessary to achieve growth. Even more so than us though, Sean Ellis over at GrowthHackers.com has really solidified the process of growth and articulated it in a way that we can all learn and grow from. Most in SaaS plateau at a certain point when it comes to getting over the growth hump which can make or break you as a company. It's important that you understand the process of growth and all the components that it encompasses. 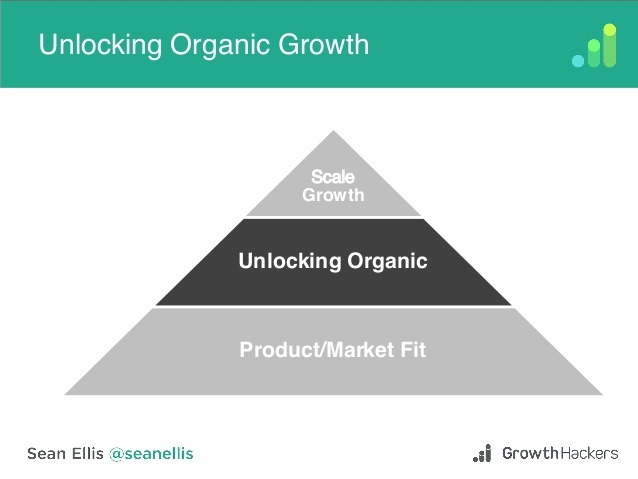 Here, we will take Sean’s framework for scaling growth and take a deeper look into product-market fit, unlocking organic growth, and scaling growth through team and process. By the end, you will be able to implement these takeaways in your business today so let’s get into it. The first step to growing a business is building a foundation. That foundation is product-market fit. I’m sure you’ve heard this term before but to put it simply so that we are on the same page - product-market fit means that your product is a “must-have” for users within a given market. "Without product-market fit, scaling your business is sure to be an uphill battle"
The objective here is to find users who would be very disappointed without access to your product. If you are able to capture at least 40% or more of users who are don't want to live without your product then you know who your target users are and also that you have a business that's ready to scale. Look into any successful SaaS business that has sustainable growth and you will find that they are capturing users who would be disappointed to lose acces to their product at a rate of no less (40%+). What if you don’t get at least 40% of respondents saying that they must have your product? If this is the case, then the next approach would be to segment your results. 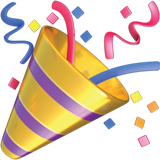 Create various segments that breakdown your users/respondents into subcategories. This can be done by splitting up the respondents into stand alone groups such as - just teachers, just students, etc. Within these subcategories, all you need to find is which group is “very disappointed” without your product at 40% or higher. Once you identify this group you know who your target users are and you can build your growth strategy from there. Bottom line: Having product-market fit is probably the most important factor for driving organic SaaS growth. It lays the foundation for you to build your business. To determine whether your product has product-market fit or not simply ask the users; “How would you feel if you could no longer use this product?” The answer to this question determines whether you have a scalable business or not. 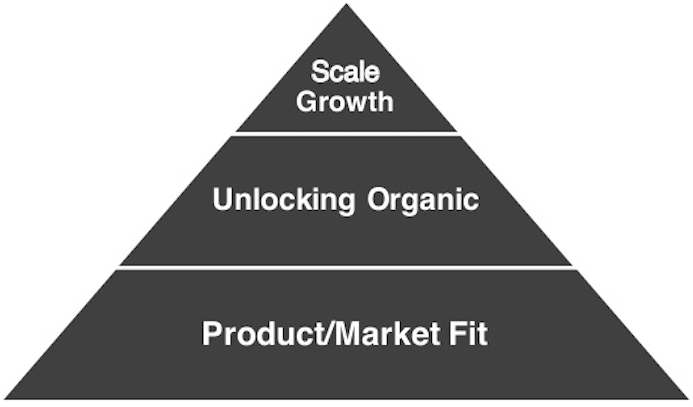 Once you’ve obtained product-market fit, the next stage in building growth for your product is “unlocking organic growth." What this essentially means is that you understand your must-have users. Here are three of the main questions that you will thoroughly want to answer and understand about your must-have users. Question 1: "Who are they (demographically)?" Question 2: "Why did they seek out the product?" Question 3: "How are they using the product?" The data behind these questions is essential to unlocking organic growth. Once you know who your customers are, why they sought out your product, and how they are using it - you can then optimize organic growth and mesh it with your tactical growth efforts. After collecting the data to the second survey, develop a simple, easy to understand description of your product. Think about how many times you've learned about a new SaaS company, went to their site to understand what they do, but you remain confused as ever. This is because so many folks miss this elementary step without realizing that not communicating your value proposition to the customer effectively is costing you money, and sinking your business' potential. Question 2: "If yes, ask 'How did you describe it?'" The consistency of the responses should tell you exactly what your product does. Take this data and apply it to your homepage messaging so that users can easily understand what you do and why your product is so great. Bottom Line: Understand who the “must have” users of your product are and figure out why they are excited about your product in the first place. Then make sure that you have a compelling promise that you can deliver on quickly - based on the key benefits your users find in the product. Finally, make your product description clear and concise to understand. The final, and extremely important, building block for scaling growth in your SaaS business comes down to two things: “the team and the process." Let's highlight why these factors determine whether your company scales or not. What is one thing that they all have in common internally? Each of these megalithic companies have a team dedicated to growth. 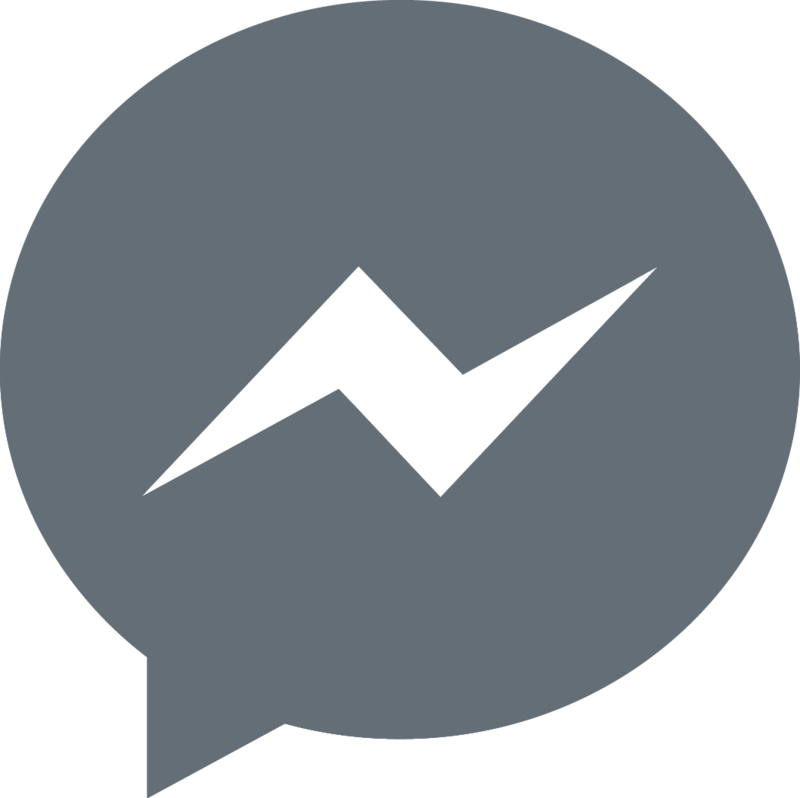 Facebook is widely accepted as the first to really establish a team and culture of growth that put emphasis on testing and experimenting. The more testing your growth team executes, the more you will discover about your product and users. The earlier you start a culture of growth within your organization, the better. Further, growth doesn’t come from one person, it comes from everyone on your team. Create a motivating culture of growth throughout your entire organization. You can do this by encouraging everyone to come up with ideas that go into your testing pipeline. For example, at Price Intelligently, some of our best content marketing ideas for the top-of-funnel have come from our sales team (thinking of you, Andrew). One reason is that they have a totally different experience in the business than the experience of the marketing team. This is an incredible realization that you can’t afford to overlook in your organization. Your entire team is carrying secrets that can unlock massive growth for your company. You just have to make the choice to tap into that energy and create an open culture of growth with which people are excited to be a part. 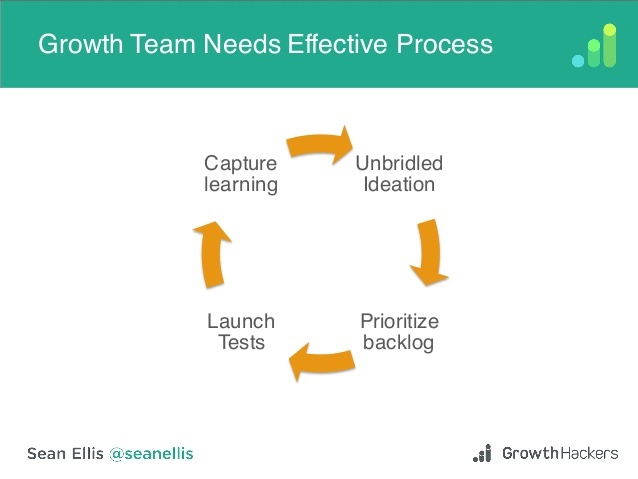 The second part of scaling growth is “process." The reason this is important is because as your company gets bigger, the scrappiness that your team once exuded will now be turned into formula. More of a science and less “get s*** done by any means." So how do you build this process? As eluded to earlier, you should be cultivating ideas from your entire team and building a backlog of ideas to test. Once you have a sufficient pool of ideas, you can start to test two ideas per week as Sean suggests in his talk. This will increase the frequency of your growth discovery. A successful SaaS company should do rapid testing across all channels through out the entire funnel for the best growth results. A well-executed growth process should turn into a 360 degree cycle. The cycle consists of unbridled ideation, prioritizing your backlog, launching tests, and then capturing the learning. Bottom line: Get your team excited about growth. Make sure they understand the impact that they have on scaling the business. Keep your team and the process at the top of mind and don’t abandon when things get tough. The power to grow and scale your business is a measurable, trackable, and repeatable process. It starts off with ensuring that your product has a fit in the market, followed by talking to your customers and finding out where the value in your product lies for them. Finally, remember that team and process are a requirement for scaling a business. Get your troops fired up to build your growth ideas backlog and keep testing and experimenting while enjoying the returns of wealth and knowledge you gain.